Today’s Hollywood Reporter documents the history of 141 South Carolwood Drive, the Holmby Hills estate owned by Joe Schenck, co-founder of Twentieth Century-Fox, in the late 1940s. The mansion features in a new book by Michael Gross, Unreal Estate: Money, Ambition and the Lust for Land in Los Angeles. 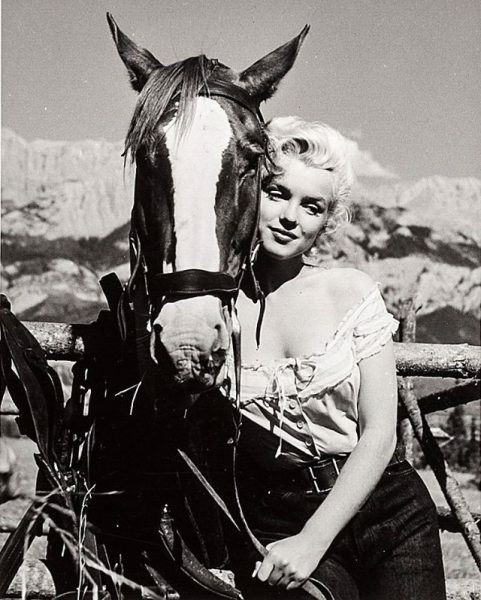 As a starlet, Marilyn Monroe visited Schenck’s home frequently, and according to columnist Sheilah Graham, she became known as one of his ‘gin rummy girls’. Schenck even allowed her the use of his guest cottage. Gross asserts that Marilyn and Schenck had a mutually beneficial affair, as other biographers have done previously. However, Marilyn and Schenck both denied it, as did friends of MM. One thing is for certain – Schenck liked Marilyn and was an early champion in her career. She last visited him in hospital in 1960, a year before he died. 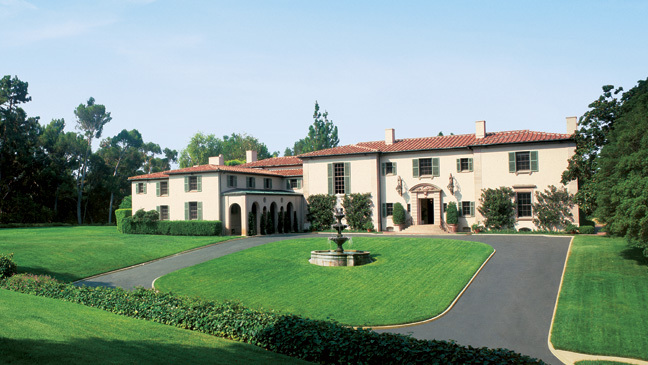 Schenck sold his Carolwood home to Tony Curtis in the late 1950s. Curtis, who starred alongside Marilyn in Some Like it Hot, has claimed an affair with her dating back to the 1940s. His stories have been widely disputed, and this later residence may explain some of the details he gave about the guest cottage. Subsequent occupants of the Carolwood estate have included Sonny and Cher. 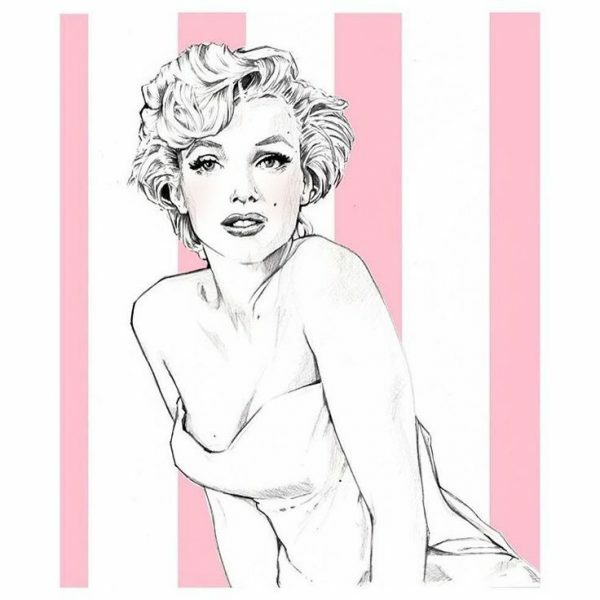 Though Marilyn frequented many such grand properties in her lifetime, her own addresses were comparatively modest. It is sometimes said that Marilyn had a dual identity – that of Monroe, the glamorous movie star, but also the insecure Norma Jeane. The same could be said of Peter Drouwyn, the Australian surfer who now lives as a woman, Westerly Windina, on the Gold Coast. In a recent interview with the Sydney Morning Herald, she described how Marilyn Monroe inspired her to make a life-changing decision. ‘The horse is a real beauty. He has smooth cocoa hair and a cream blaze down his face. He is calm and proud and waits while people around him arrange tripods and shout instructions. Embarrassed, she smiles at the ground and grabs the reins to steady herself. She reminds herself she is good at this part. She knows the camera can make things flat or it can make things real. She has taught herself how to make the camera capture “Marilyn.” She shifts her hips. 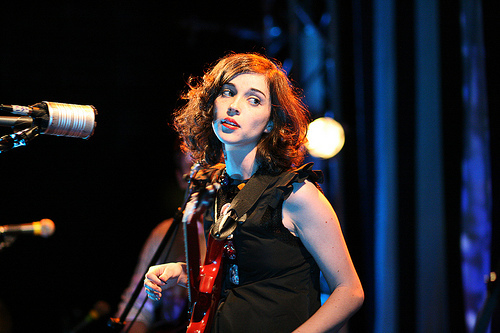 She leans her exposed shoulder into the horse’s body and places her cheek against his soft neck. She takes in his warm earthy smell and gazes out at the distance. There’s an irony here: while Monroe’s capri trousers, polo necks or pencil skirts might be demure by today’s standards, in the 1950s many of her red carpet and film costumes were deemed highly risqué. 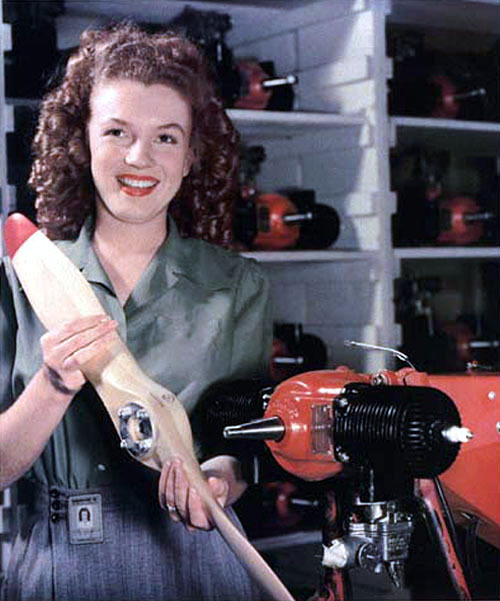 The discovery of 19 year-old Norma Jeane Dougherty, then working at the Radioplane Munitions Plant in Los Angeles, by photographer David Conover, features in a new exhibition, ‘Blue Sky Metropolis: The Aerospace Century in Southern California’, now on display at the Huntington Library, reports L.A. Weekly. Costumer Angela Alexander, reported to have worked on several Monroe movies during her tenure at Twentieth Century-Fox’s wardrobe department, has died aged 94. I must admit, I haven’t heard of Ms Alexander before, so can’t comment on her relationship with Marilyn. Her IMDB listing doesn’t mention any MM movies, but it’s quite likely that her early work was uncredited. “Alexander, as a member of the costume department at Fox, met Monroe on the set of the actress’ first film, The Shocking Miss Pilgrim (1947), and they became close friends, according to Alexander’s nephew, editor and director Nicholas Eliopoulos. Often summoned by Fox to help ease tension during production, Alexander worked with Monroe on We’re Not Married! [pictured above], Don’t Bother to Knock and Howard Hawks’ Monkey Business, all from 1952; Niagara (1953); There’s No Business Like Show Business (1954); and Something’s Got to Give, which was never completed as Monroe died during filming in August 1962. Eliopoulos said Alexander never believed that Monroe committed suicide. The bifurcation of Monroe’s image served a distinct ideological purpose: sexuality and intelligence, sexuality and happiness — those can’t co-exist! Only dumb girls are sexual; sexual girls all end up miserable. 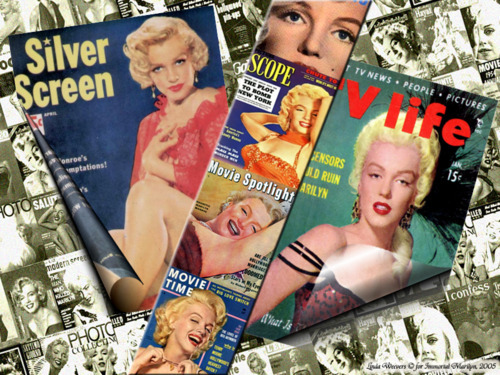 In order to make Monroe (and liking Monroe) less transgressive, the magazines had to siphon off and condemn the sexual components of her image, at least within their pages. 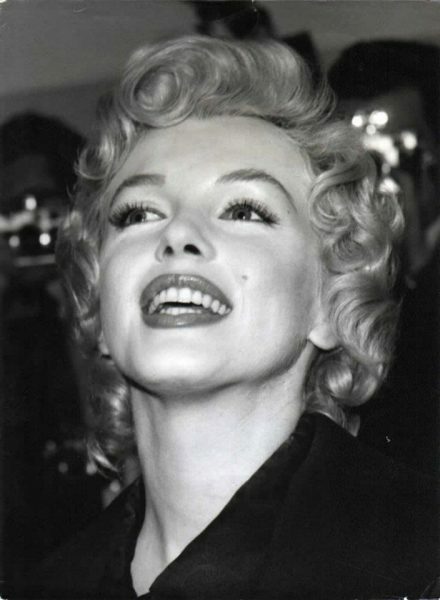 Marilyn comes 3rd on Forbes’ list of Top-Earning Dead Celebrities for 2011, just behind Michael Jackson and Elvis Presley. She had dropped off the list during 2009 and 2010, but in the last year her estate has earned $27 million. 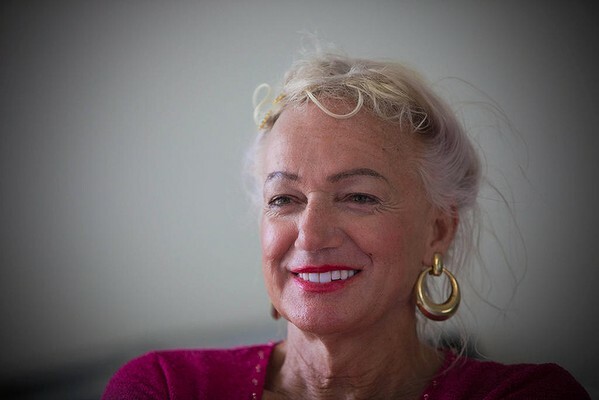 Writing for Forbes, Dorothy Pomerantz attributes Marilyn’s ‘comeback’ to ABG, the marketing company that acquired licensing rights this year. I would add that the upcoming 5oth anniversary, and My Week With Marilyn have also played their part.